158720 crossing the junction of the Far North Line and the Kyle line, approaching Dingwall with the 19:28 Ardgay to Inverness on Wednesday 23 May 2018. 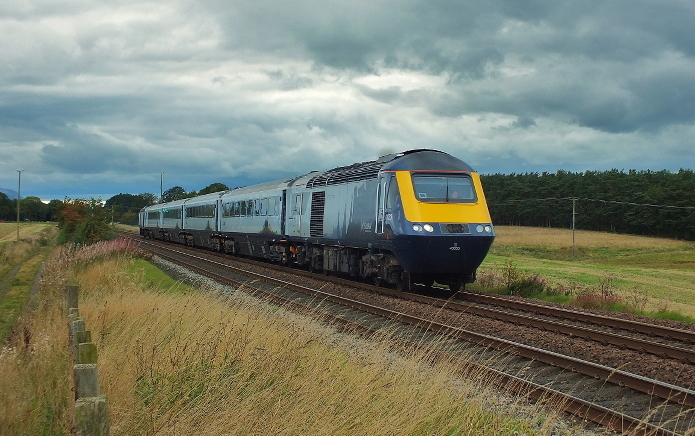 The first complete refurbished HST set has now arrived in Scotland. 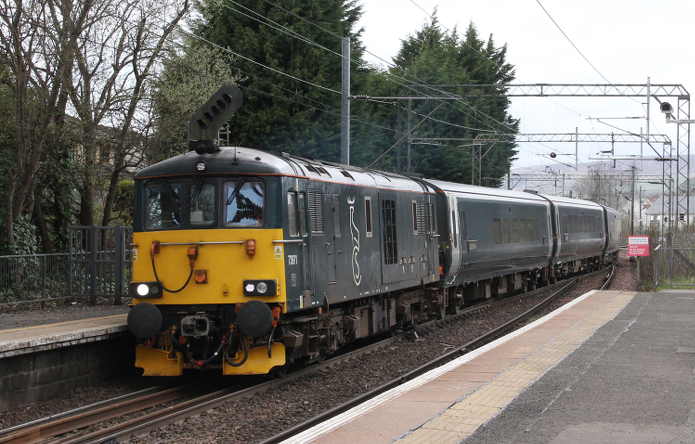 The train, led by 43033, is seen here on its way from Craigentinny to Dundee. 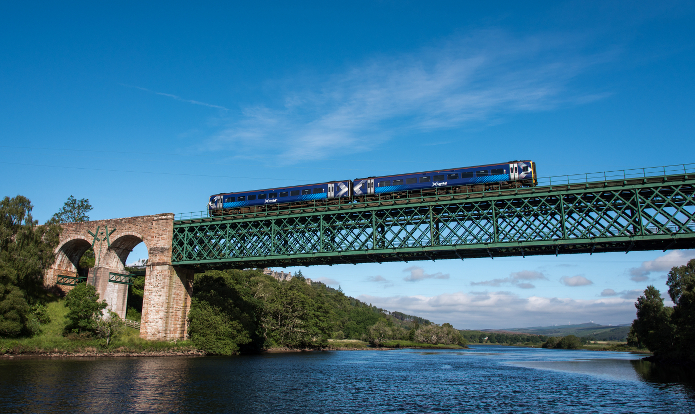 The 06:18 from Wick on the Oykel Viaduct crossing the Kyle of Sutherland on its way to Inverness on 26 June 2018. The viaduct has a single 70 m span and was opened in 1868. On 18 April 2018 73971 with a test run of the new sleeper stock from Arrochar to Polmadie. 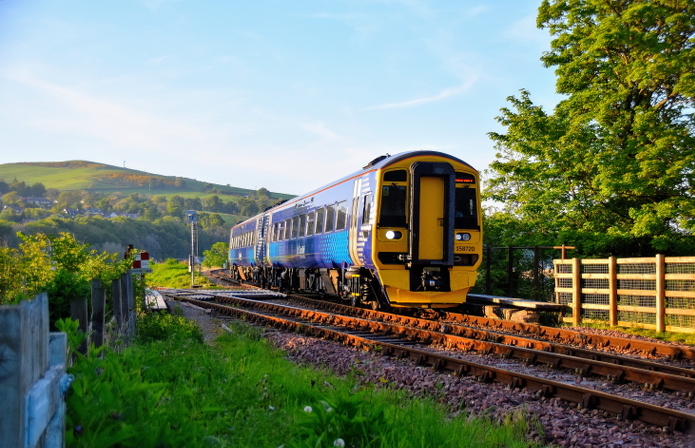 It is seen passing through Westerton, near Glasgow, where the Milngavie branch joins the West Highland Line.